The Tony-nominated hit Mean Girls will welcome Krystina Alabado in the role of Gretchen Wieners beginning on March 12. 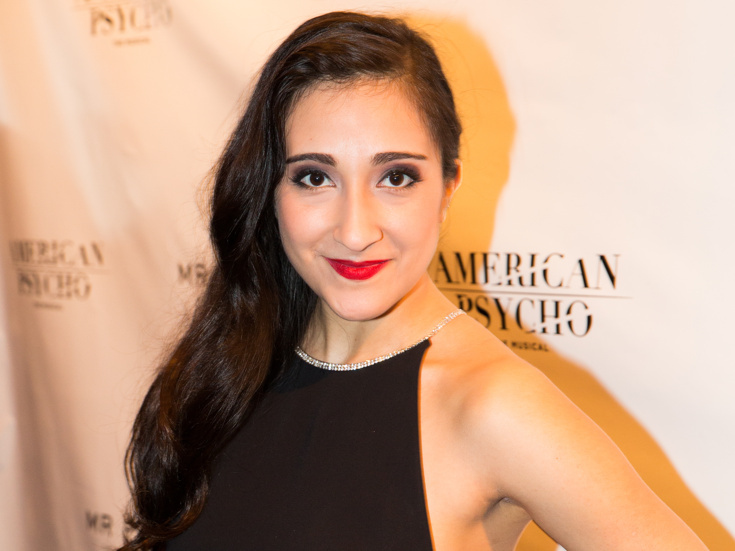 Alabado will replace Tony-nominated original cast member Ashley Park, who will play her final performance on March 10. Alabado has appeared on Broadway in American Psycho and American Idiot. Her national tour credits include Evita, American Idiot and Spring Awakening. She has appeared off-Broadway in This Ain't No Disco, The Mad Ones, Lazarus and Camp Wanatachi. Alabado joins a principal cast led by Erika Henningsen as Cady Heron, Taylor Louderman as Regina George, Kate Rockwell as Karen Smith, Barrett Wilbert Weed as Janis Sarkisian, Grey Henson as Damian Hubbard, Kyle Selig as Aaron Samuels, Cheech Manohar as Kevin Gnapoor, Rick Younger as Mr. Duvall and Jennifer Simard as Mrs. Heron/Ms. Norbury/Mrs. George. With a book by Tina Fey, music by Jeff Richmond and lyrics by Nell Benjamin, Mean Girls features direction and choreography by Casey Nicholaw and musical direction by Mary-Mitchell Campbell. The show began previews on March 12, 2018 and officially opened on April 8.